Every major pro sports league in America recognizes they have a big problem when it comes to their All-Star games. While players recognize it is an honor to be voted onto an All-Star game, none of them want to risk jeopardizing their careers and earnings potential by approaching them like regular season contests, let alone playoff or championship games. The days when a Pete Rose would go barreling into Ray Fosse to win an All-Star contest, forever ending Fosse’s effectiveness as a topflight regular, are long over. The most recent example of this was the recent NBA All-Star Game, a dreadful 192-182 spectacle held in New Orleans where not even the most casual attempt at defense was witnessed. Even Summer League games or special exhibitions like the famous Rucker League games in New York City were and are more competitive than that fiasco. Only a few missed free throws on each side prevented the score from reaching 200 points for each team, and the combined 374 points set a scoring record. Thus it is no surprise that last week NBA commissioner Adam Silver publicly spoke about the need for retooling the All-Star Game. Speaking at the Sloan Sports Analytics Conference in Boston that’s hosted by MIT, he didn’t just ponder the problem, he directly addressed. it. “We will change it by next year,” Silver said. “It shouldn’t be playoff intensity, but the guys should be playing.” Silver even left his personal email address – Adam@NBA.com–and invited fans and players to send their recommendations and ideas to him. 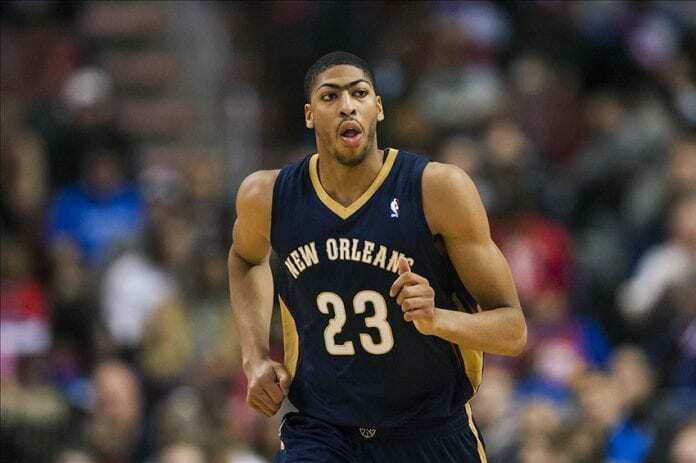 New Orleans’ Anthony Davis scored an All-Star record 52 points in this year’s game, 10 points more than the mark by Wilt Chamberlain that stood for 55 years. The West has flirted with 200 points in each of the last two seasons — 196 in 2016, 192 this year. Giannis Antetokounmpo had 12 dunks by himself, and LeBron James was taking (and once, made) shots from the midcourt area. The league has already tweaked the selection process, this year having a three-tier formula that had fans, players and media each voting for participants. But then that got attacked as well, with coaches like Steve Kerr saying that players weren’t taking their part in the selection process seriously. There may truly be no answer to this problem. Baseball for years decided to give the league which won the All-Star Game home field advantage in the World Series, but that was so widely ridiculed they finally abandoned the process this season. NFL commissioner Roger Goodell was so disgusted by the lack of competitiveness in the Pro Bowl two years ago he threatened to terminate the game. The NHL has changed its All-Star Game format multiple times, and now uses a three-on-three gimmick format that actually seems to have resonated with fans and also kept scores from being in double digits the way they were for many years. Ultimately, All-Star games are exhibitions. The notion that great athletes will be willing to put the same energy into a meaningless contest as they will for games that count towards playoffs and titles is at best debatable. With the amount of money they make these days, it’s very doubtful that any All-Star Game can ever again be made into something memorable, no matter what the commissioners say or what the leagues try to do.